A blog on open source hardware – software technologies and communities. 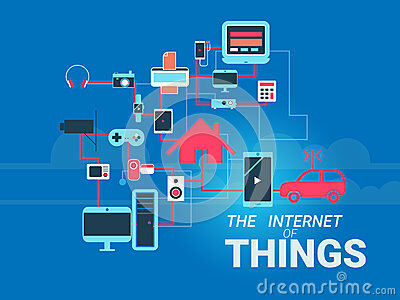 Everyone of us has heard about the latest buzz IoT – Internet of Things! This revolution in technology is even bigger than the industrial revolution !! In this article we will have a basic understanding of what IoT is and why we are so enthusiastic about this latest technology ! Before we begin with the IoT introduction, lets break the term into Internet and Things and understand these two terms first. All of us, these days, use internet – more or less. Lets discuss, what internet is…. Since 1991, after WWW was formed, internet has changed the way long distance communication was conducted, it created new ways to share and acquire knowledge. It changed the way awareness was spread across communities. It was a great leap when people from different parts of the world were able to connect with each other through internet to share, learn and care. But then, what is internet ? And now, the next term – Things…. Today, an average household has more devices at home which are connected to internet than the number of people at home. Each device that is on the internet is identifiable with a unique ID – that is the IP address. The IP address is string of characters and numbers which help identify a device, locate the device on the network and route the internet traffic. Things can be us – humans, animals, buildings, energy stations, smartphones, tablets, bicycle, sensors, cameras, vehicles, health monitoring devices etc. Merging Internet and Things – making them work hand in hand, we land up to a powerful technology The Internet of Things (IoT). 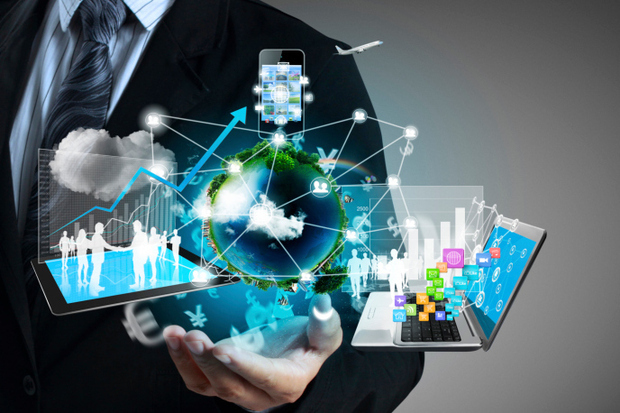 Today we have many other devices apart from smart phones and computers which have the capability to connect and communicate through internet like garage door opener, internet connected sprinklers, water quality sensors, ATM machines, Electricity and utility meters, cars and other vehicles, Medical and Health monitoring device and many more. All the interconnection of these uniquely identifiable computing devices within the existing internet infrastructure can be termed as Internet of Things or in short IoT. A network of physical objects or ‘things’ that can interact with each other to share information and take action. Let us watch this introductory video to have a clear understanding of what IoT is. Pretty cool, isn’t it ! We now have a basic idea of the power of IoT and how wonderful it would be to include this fast growing technology into our lives !! The things should have a unique identification in so that each of them can be distinguished from various objects in the network. If they don’t have unique identification then it becomes difficult for developers to work with. Things should be able to detect the presence of other objects, following a rule of autonomy. If they can do so then they can further interact with each other and work accordingly. Things should be able to capture data autonomously. As there are various communication protocol and technologies that IoT devices will work with hence things should be interoperable between various communication technologies. Things should have a service – based operation, which means that if any two or more objects are in vicinity or in contact then they should be able to communicate directly with each other and exchange information and data if necessary. There should be cooperation between autonomous objects(things). If two autonomous objects can interact and cooperate with each other to accomplish any preset or necessary task, it can intensify value of such application manifold. Things should be able to operate at low power. Things should be contextual in nature. Things should be programmable by user. Things should have a fail-safe operation and most importantly secure. IoT Network Scale – how large it is ? Number of mobile devices exceeds the number of people on Earth. Predictions are made that there will be 50 billion ‘things’ connected to the Internet by 2020. Therefore, a knowledge about IoT is important ! Some advanced IoT services will need to collect, analyze, and process segments of raw sensor data and turn in into operational control information. Some sensor data types may have massive sizes (due to large number of IoT devices). IoT databases will be needed, that is where Cloud Computing support is needed. IoT data analysis needs to be done, that is where we will need Big Data support. Influence of IoT is everywhere ! People : More ‘things’ can be monitored and controlled SO People will become more capable. Process : More users and machines can collaborate in real-time SO More complex tasks can be accomplished in lesser time. And hence we have more collaborated and coordinated data. Data : Collect data more frequently and reliably WHICH Results in more accurate decision making. Things : ‘Things’ become more controllable THEREFORE Mobile devices and ‘things’ become more valuable. Predictions have been made that IoT has the potential to increase global corporate profits by 21% (in aggregate) by 2022. A total of $19 Trillion Market. That’s huge !! M2M – $6.4T – 45% of economic value. M2P or P2M – $3.5T and P2P – $4.5T both together represent 55% of economic value. Putting all together in a nutshell, we can see that this technology is huge and has enormous potential ! This is and will create huge potential for developers. Up next : Part 2 : A walk through Internet of Things (IoT) basics. Internet of Things World, Europe. Part 6 : A walk through Internet of Things (IoT) basics. Part 5 : A walk through Internet of Things (IoT) basics. Part 4 : A walk through Internet of Things (IoT) basics. Part 3 : A walk through Internet of Things (IoT) basics. You can visit any post by searching here. You can also use the category section as reference to read posts under particular topic. Happy browsing and reading ! !